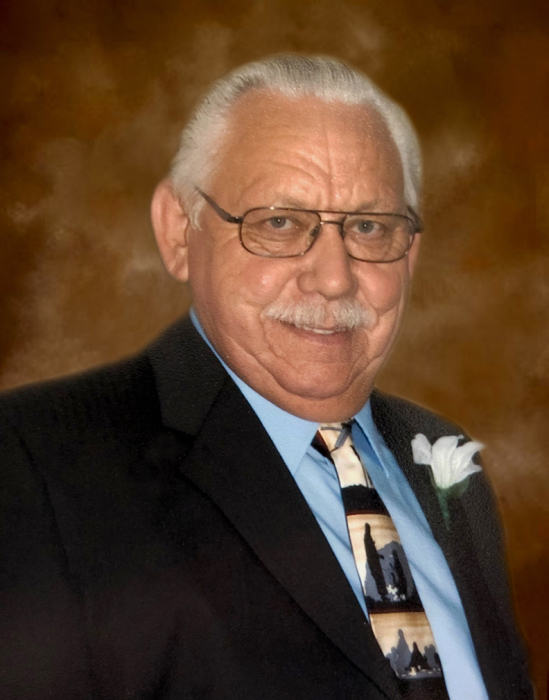 C. Wayne Barker, age 73 of Jefferson, passed away Saturday, March 23, 2019 at Forsyth Medical Center in Winston Salem. Mr. Barker was born April 3, 1945 in Ashe County to Everett Rector Barker and Carrie Lee McNeil Barker. He was preceded in death by his parents, a granddaughter, Carri Teagan Mayle, four brothers, and two sisters. Mr. Barker loved missionary work, especially in Nicaragua and Ukraine. He loved to teach the Bible and was an ordained minister and served as Elder at Restoration Church in West Jefferson. He enjoyed raising chickens. Mr. Barker owned Shelters Unlimited in Jefferson and had a sign above his desk, "I am not here to sell you a building. I'm here to help you buy a building." He enjoyed spending time with his family. Mr. Barker is survived by: his wife of 55 years, Linda Greer Barker; two daughters, Patti Graybeal and husband Ronnie of Jefferson, and Vicki Jones and husband Brian of Crumpler; one son, Chris Barker and wife Dawn of West Jefferson; one brother, Edd Barker and wife Loretta of Boone; six grandchildren, Kati Graybeal, Staci Oliver, Alex Graybeal, Rachel Barker, Maci Jones, and Abbi Jones; four great-grandchildren, Jaxson Oliver, Teegan Cox, Caroline Oliver, and Gunnar Barker. Funeral services will be held Friday, March 29, 2019 at 1:00 pm at Ashelawn Memorial Chapel by Pastor Roy Putman, Rev. Allen Greer, and Rev. John Leek. Burial will follow in the Barker-Eller-McNeil Cemetery. The family will receive friends from 6:00 pm to 8:00 pm on Thursday, March 28, 2019 at Ashelawn Memorial Chapel. Flowers will be accepted or memorials may be made to SECU Family House, 1970 Baldwin Lane, Winston-Salem, NC 27103. Ashelawn Memorial Chapel & Gardens was entrusted with Mr. Barker's arrangements.